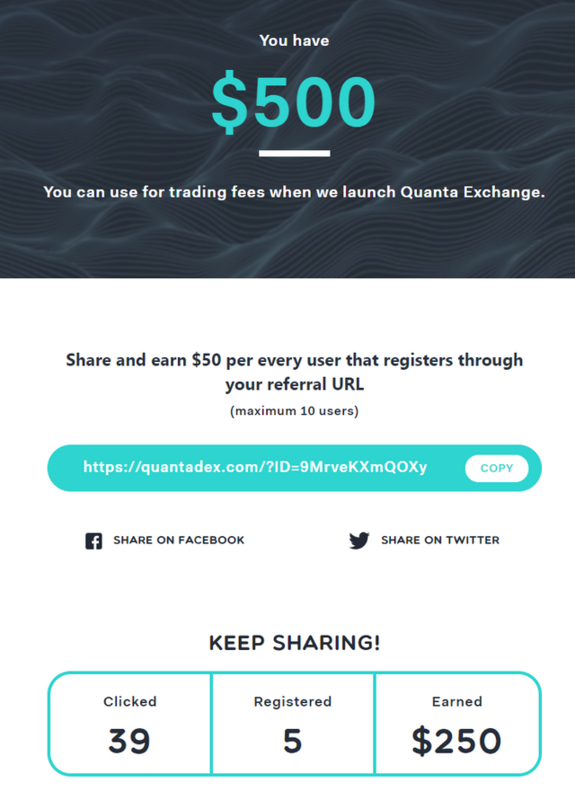 QUANTA Decentralized Exchange is having a Coin Vote. Let's get ETN Listed! 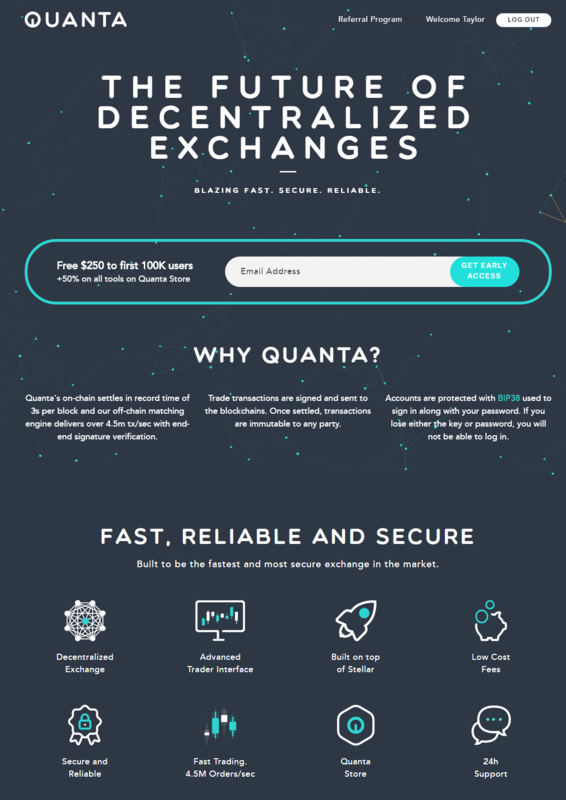 There is a new #DEXchange called QUANTA coming out soon for Us to trade on. It's a pretty nice platform with some neat features/specs from what I have looked into thus far! Built on the #Stellar platform too! Anyhow, to get to the point of this post; They are having a coin vote, and #ETN is a candidate. We just started driving votes from the Community a few hours ago, and We're currently ranked #4. Not bad, eh? You need to quickly register before They will let You hit the little 'UP' arrow to vote. It's as simple as plugging in Your Twitter, Facebook, or E-Mail though. Super simple, and MOST appreciated for Your help in getting #Electroneum listed to one more exchange source! They DO in fact have a referral program but it's sweet because They are ONLY allowing up to 10 referrals per account, which GREATLY reduces link spam.